A few years ago, I found an old house in Johannesburg, South Africa. This place has become the focus of my photography for the past few years since the completion of my book Boarding House in 2008. Inside this house live a motley bunch of people from various spectrums of South African society. Living along with these people are large numbers of wild birds that inhabit this space and exist alongside the inhabitants. The birds are not in cages and have the freedom to move throughout the place. Most rooms in this house are quite barren and the inhabitants have taken to drawing figures and faces on the walls. 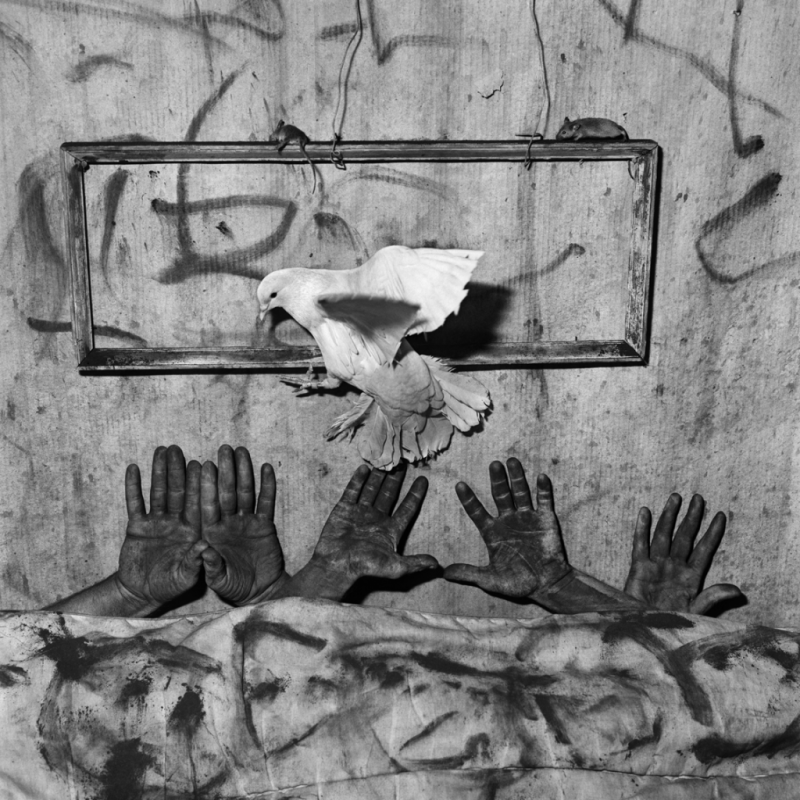 Born in New York City in 1950, Roger Ballen has lived and worked in Johannesburg, South Africa for almost 30 years. During this period from 1982 to 2008 he has produced many series of works which has evolved from photo-journalism to a unique artistic vision.